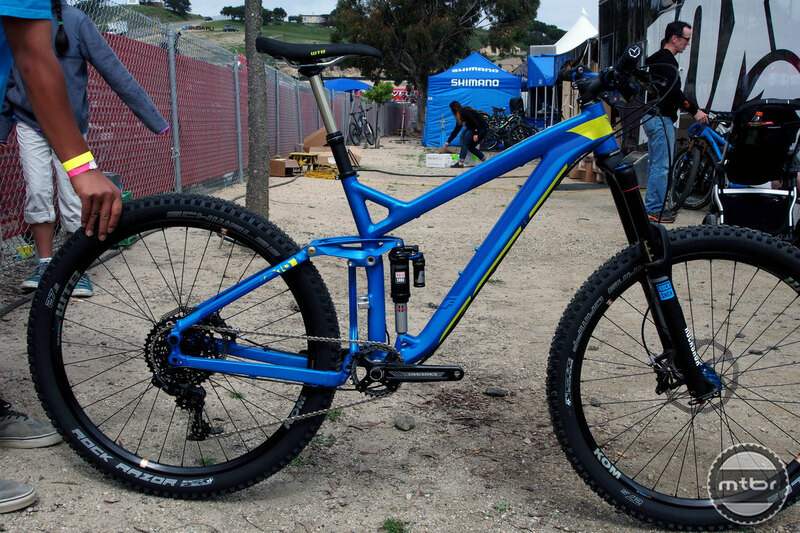 LEGIT CONTENDER | Felt is now in the 27.5 arena with a legitimate contender called the Compulsion. 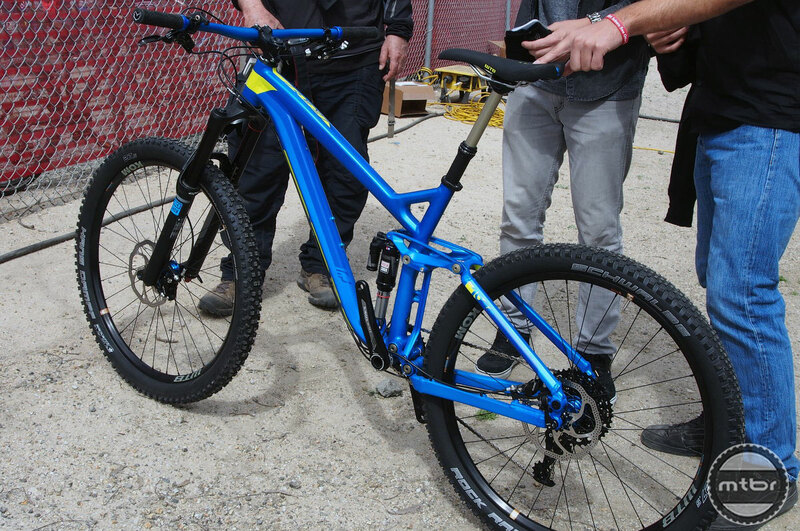 This blue and black aluminum creation features 160mm of front and rear travel, a 66 degree head angle and 17.1-inch chainstays. 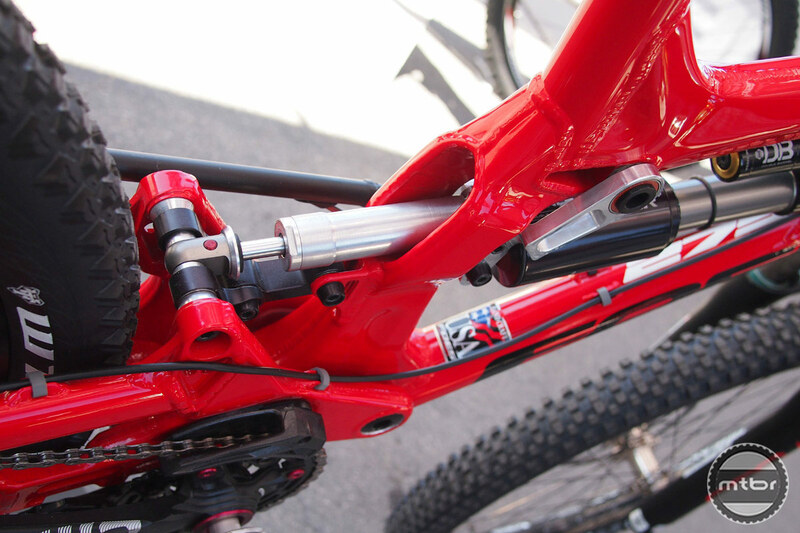 It has dropper post routing, a threaded bottom bracket shell, a Syntace thru-axle, post mount brakes and a RockShox Monarch Plus RC3 shock. 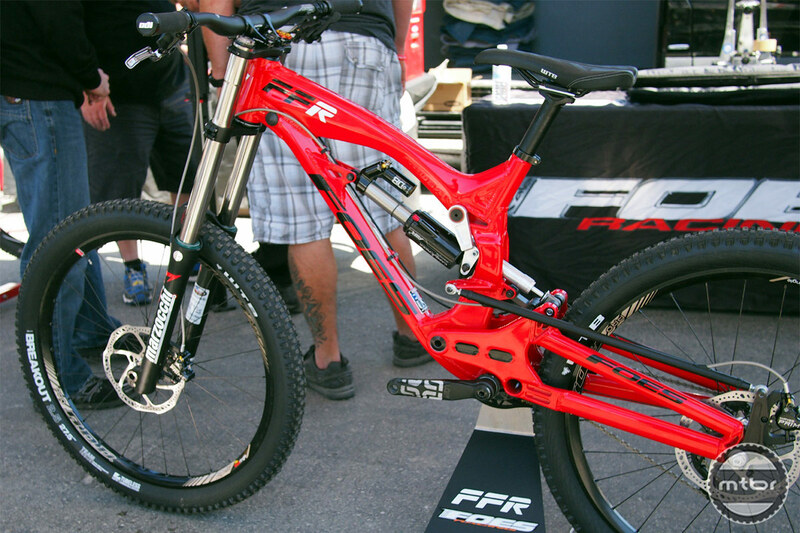 FOES FFR 27.5 DH RIG WITH EXTRA DAMPER | We stopped and chatted with Brent Foes about his new 27.5 DH bike called the FFR. 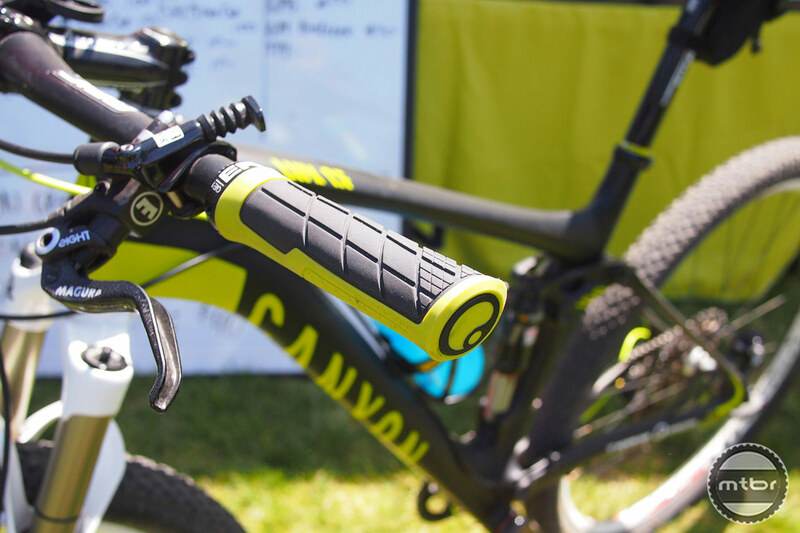 It has a unique Cane Creek DBair shock with an extra damper that adds negative travel to the equation. 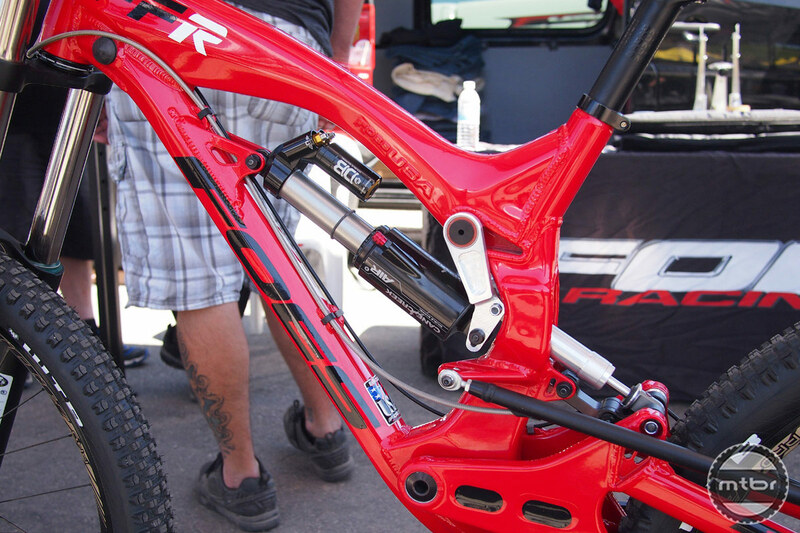 The Foes FFR was equipped with a prototype Marzocchi 27.5 fork and the frame also features a torque shaft for the floating rear brake. 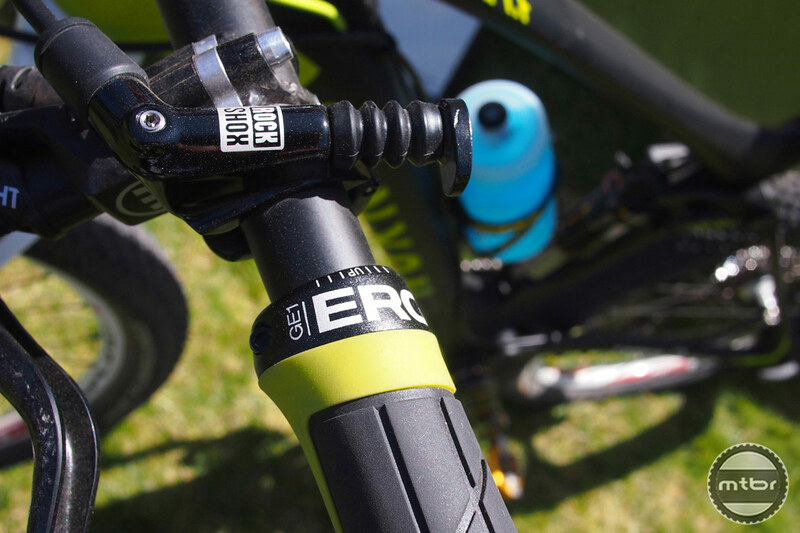 ERGON ENDURO GRIP | Topeak-Ergon Pro Racer and Ergon Marketing Manager Jeff Kerkove showed us the all-new Ergon GE1 enduro/freeride/gravity-focused grip. It’s made of silicone rubber and has in-board aluminum clamps for the side-specific handles. 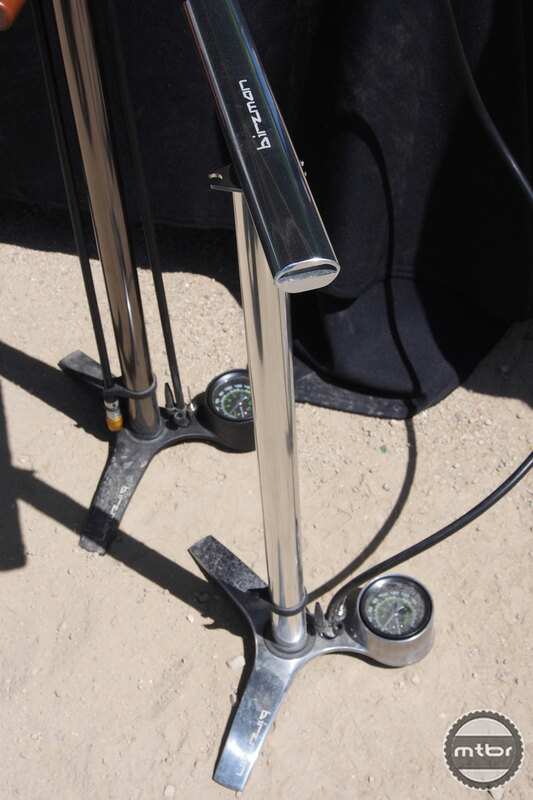 Kerkove says they’re designed and shaped for “elbows out” riding on wider bars. 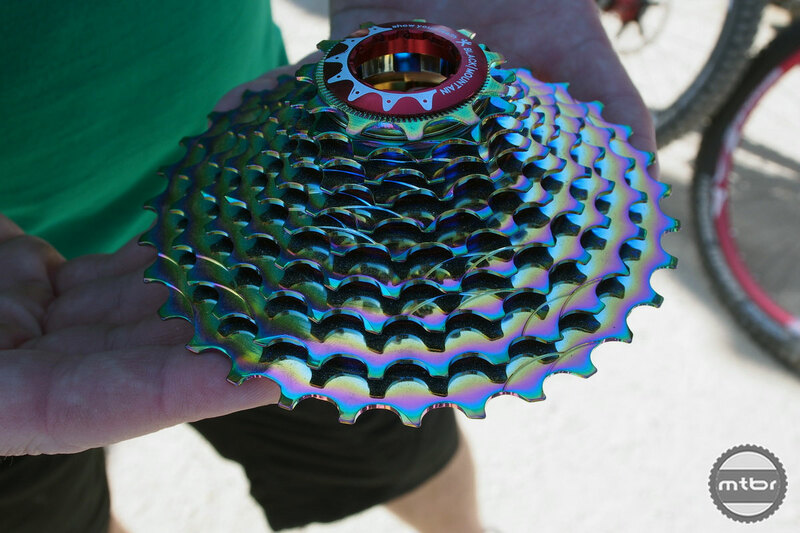 He also explained that the rubber of a cutaway grip has a saw blade-like profile, that’s designed to give the rider additional grip for pulling back. 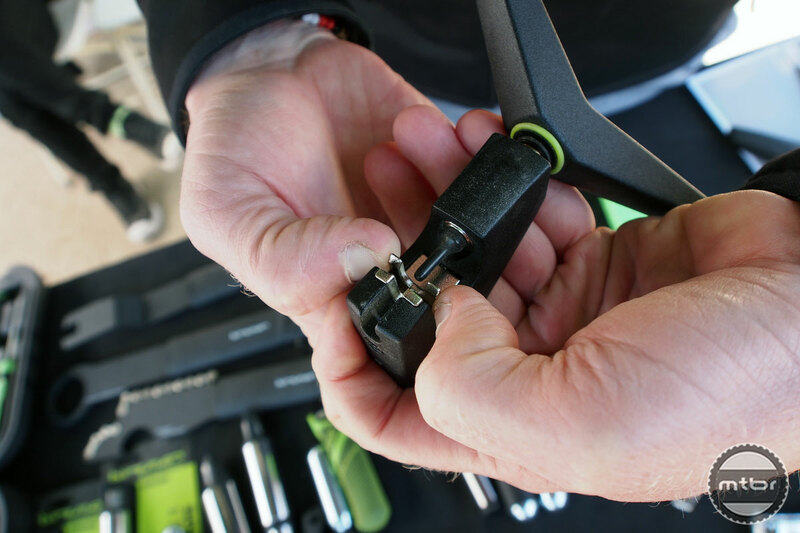 TOOL TIME | This Damselfly universal chain tool is features a spring loaded chain holder so it’s compatible with the multitude of chain widths found on today’s bikes. It simply self-adjusts to whatever width chain it’s used on, making it convenient for people with multiple bikes and gearing configurations.